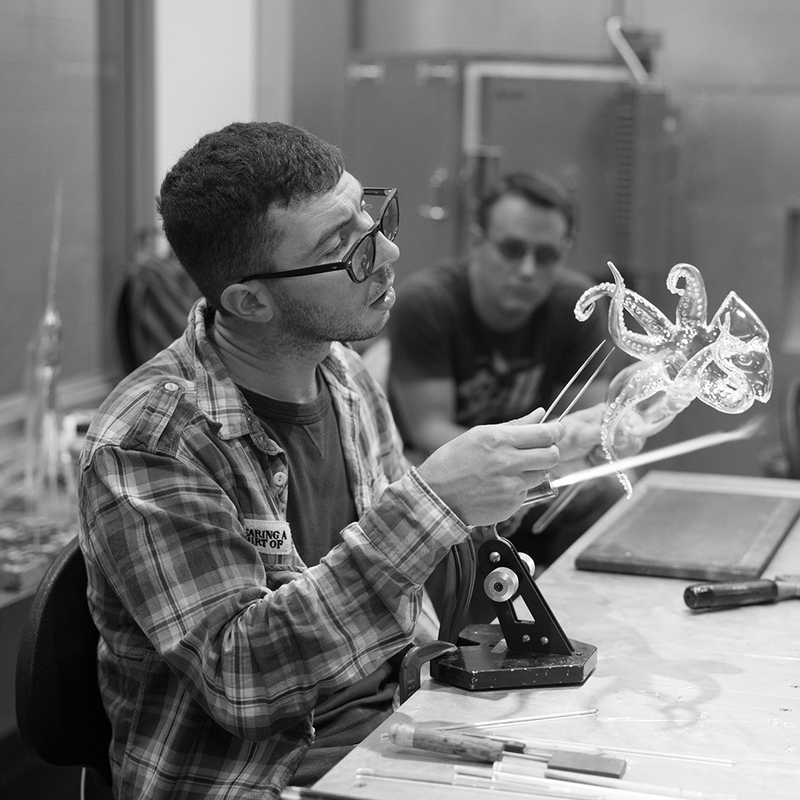 See guest artist Simone Crestani during a live, narrated demonstration in the Amphitheater Hot Shop on July 26 from 6 to 8 pm. Crestani is regarded as a young luminary in the world of glassmaking. He is inspired by the never-ending variety of the natural world, the shapes of animals and plants magically come to life–even in their tiniest details–in a celebration of lightness and transparency. Crestani’s creativity combines the quality of the design and craftsmanship to the uniqueness of plastic and artistic production, giving birth to exclusive sculptural pieces. Born in 1984 in Marostica, in the region of Venice, Simone Crestani started working glass at the age of 15 at the Massimo's Lunardon glass factory. After an apprenticeship that lasted 10 years, he opened his own studio. There, Crestani continues to work and is dedicated to research and innovation.